We understand that your pet has become a member of the family. Pet insurance can provide you with the peace of mind knowing that you are prepared to give them the best health care possible. Pet insurance in Arizona provides affordable and flexible plans to fit your pet’s needs and your budget. 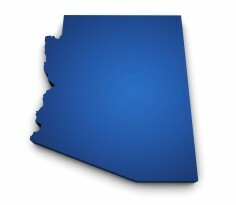 Our goal is to provide you with the area-specific health risks and concerns to dogs and cats in Arizona. Understanding these health risks can help you make an informed decision about the right pet insurance plan for you and your pet. The geographical conditions and climate in Arizona can affect your pet’s health. Arizona’s climate allows for high number of ticks which can transmit many harmful infectious disease. Because of Arizona’s climate and outdoor lifestyle, dogs in Arizona are diagnosed with ticks more frequently than the national average. Dogs living in Arizona are also more commonly diagnosed with Parvo (a life-threatening, yet preventable disease through vaccinations), arthritis, and diabetes. Compared to the national average, cats living in Arizona are at a higher risk of contracting the Feline Leukemia Virus. FeLV is spread through the close contact of an infected cat and can be very serious (especially among kittens) but is treatable if caught early and is preventable through vaccination. Cats in Arizona are also more commonly diagnosed with ear mites, kidney disease, diabetes, and arthritis compared to the national average. Most of these illnesses are preventable through routine pet heath care. Fortunately, these health conditions are preventable and/or treatable through routine veterinary care. Pet insurance can help protect you and your pet from the increasing cost of health care associated with these illnesses. Due to the exceedingly high temperatures in Arizona, heat exhaustion and dehydration are also common. You can lower your pet’s risk by keeping them hydrated and cool. Due to the amount of sun exposure, skin cancer is also common among pets in Arizona. Many common health problems among dogs and cats in Arizona are treatable with quick and proper veterinary care. Pet insurance can help keep your dogs and cats living longer and happier lives by providing them with prompt medical care without the financial concern.